YouEmbedTube is another great little tool from the makers of Flickrin and it does a similar thing, but it uses videos from YouTube instead of images from Flickr. I created the one above using the tag words 'teaching English' and if you click on any of the videos you can see that they will play here in my blog page. This was simple to create, I just entered my tag words, selected the number of videos I wanted and then clicked to preview it. After that you just click on 'Get the code right now' and the embed code appears for you to copy and paste into your blog page. YouEmbedTube is a great tool if you want to limit access to YouTube and make sure your students only watch selected videos. You can set up tasks which get them to choose correct video recordings or select, process and reformulate information from a number of sources on a theme. It would be interesting what conclusions you could draw about English teaching around the world from the example above!! 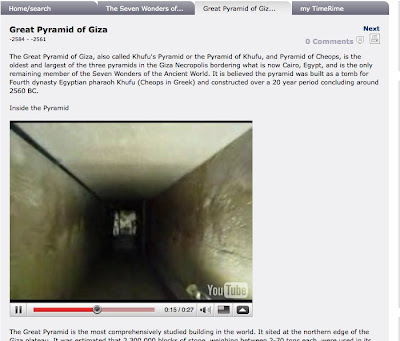 YouEmbedTube is a really handy little tool that's free, quick and easy to use and looks professional. The down sides are that the ones it selects are likely to change as it refreshes each time the page loads, and of course you can't select and reject the videos that appear, you can only control how many appear. I still think it has a lot of potential for educational exploitation though. I did try pulling in video from my own YouTube channel by typing in my channel name, so if you create your own channel and then add videos, this would be a good option. I'm always really nervous about submitting blogs for awards, because I look at and learn from so many and it's so easy to over look something great and to offend someone who is left out. Anyway, I've done my best to suggest a few here that I think are really fantastic and which I've personally benefited from, so by some way of thanks here are my nominations for the Edublogs Awards for 2008. I really like Life is a Feast because of the great name and what in conveys about the writer's attitude towards education, but also because it is so clearly a documentation of real classroom use of technology with students. There's also some great humour and examples there. I think Box of Tricks is another great site that so clearly draws on real classroom experience of using technology with students. The content has real depth and insight as well as being informatively written. Also really well designed. TEFL Clips is a site that I wrote about recently on Quick Shout. I've chosen this one because it has complete, well written lesson plans that use authentic materials from YouTube. Great resource and some very creative plans. 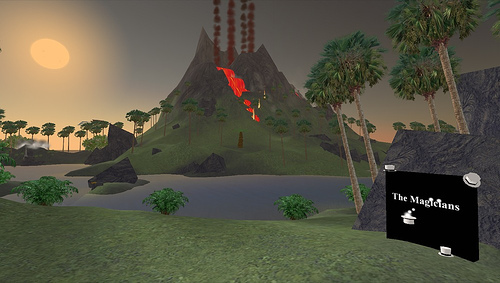 My choice for best use of a virtual world goes to The Consultants-E and their Edunation islands. There is such a great variety of activity there and loads of free space and especially for the free teach tools. I found it really hard to decide on this last one but finally chose Aiden's English Advertising Class. I particularly like Aiden's English Advertising blog because she gets her students to share the storyboards which give an insight into how they created the materials. 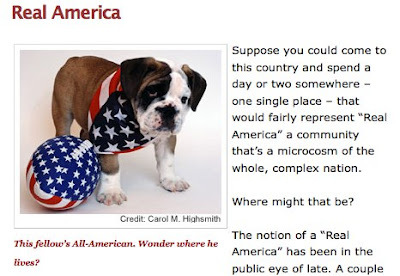 Hope you enjoy these blogs and many thanks once again to the creators for their hard work and to the literally hundreds of other bloggers who work hard everyday promote a world where people can have a better education. 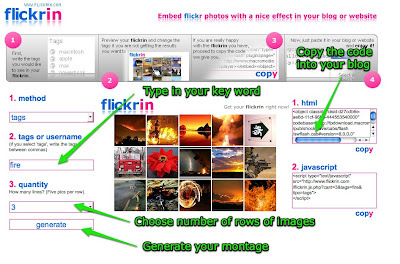 I just spotted Flickrin which is a really nice site that exploits flickr images and helps you to create a photo montage, like the ones below, that can be embedded into a blog or web page. It's very easy to use, just type in a username or tag keyword, decide how many rows of images you would like and then click on 'generate'. 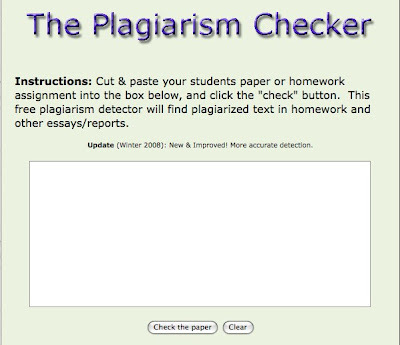 It's then just a simple matter of copying the code and pasting it into your blog or website html. 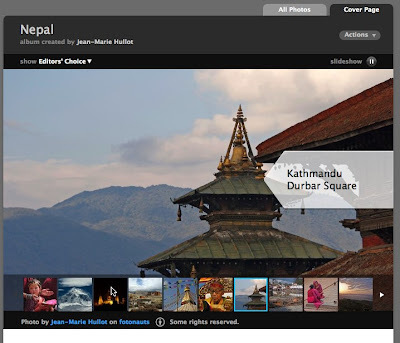 All the images that appear in the montage are hyperlinked to the original image on flickr, and you can select anything from 1 to 10 rows of images. It might also be a useful tool for exploring the lexical fields or particular words and see how they can be used to describe different things. 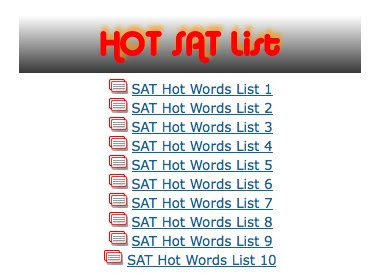 For example I created this montage by typing in the word 'fire'. This demonstrates some the various ways the word can be used. Range of lexical use. The tag word here was 'fire'. What I haven't discovered yet, is whether the montage is regenerated each time the page is opened. It's likely that it is, and this could mean that the montage changes as other flickr users add images with the same tag word. 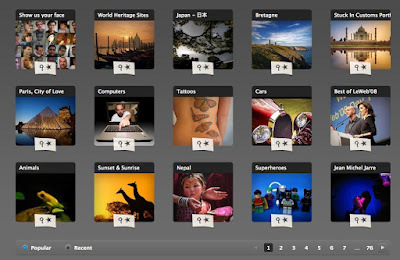 You can also get some interesting images by using more than one tag word. 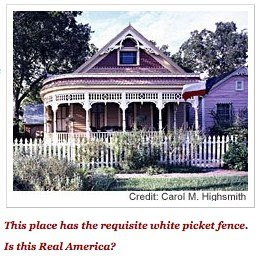 This seems to pull in images that carry both words as tags. I spotted this tool along with some other interesting stuff on the Life is a Feast blog which belongs to Ana Maria, a teacher from Brazil. Hope you enjoy Flickrin and find some good uses for it. 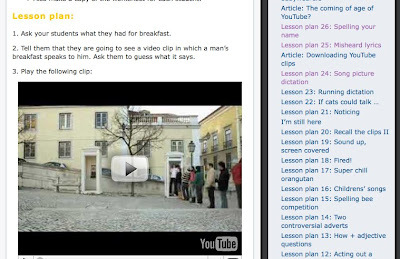 I've just been looking over a really useful site called TeflClips which has a collection of lesson plans for using YouTube video clips to teach English. The creator of the site, Jamie Keddie, includes step by step procedure instructions as well as downloadable materials for use in class. At the moment there are 28 lesson plans on the site, with a new one being added every week, and these vary from focusing on specific grammar points to dealing with different themes or skills. The lesson plans are very creative, each one taking a unique approach to the materials and many have links to additional digital materials too. The site is nicely designed and focuses on delivering the materials rather than incorporating a lot of slow loading 'sticky' content. 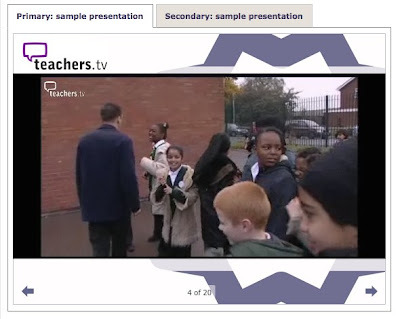 There's also a link to a clips resource page which has a lot of useful clips if you want to create your own lessons. 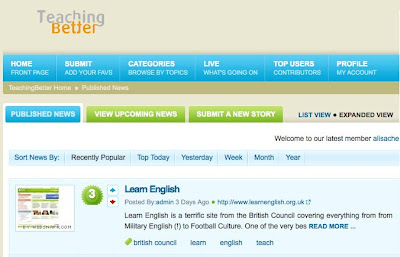 This is a really useful site for EFL teachers looking for ready made lesson plans or some inspiration or good ideas on how to create their own. Well worth checking out. 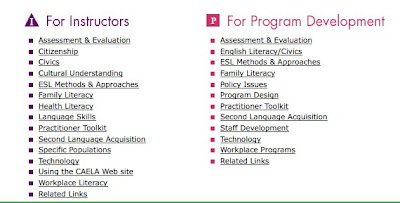 Hope you enjoy using these plans with your EFL ESL students. This is a real treat for anyone who wants to send a Thanks Giving message to any Friends from the US. It's from Bubble Joy and they have a selection of humorous frames that you can add your own short video message to. All you need is a WebCam and a microphone. 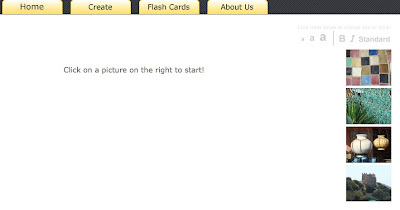 It's really easy to do, just select the card you want, then give the flash program access to your video and audio and record your message. 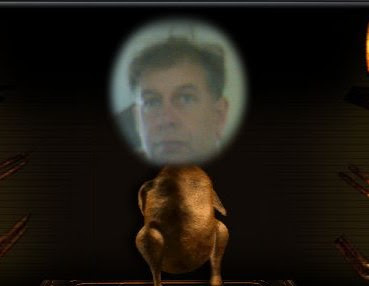 I particularly like the dancing turkey, but I guess we'll all have our favourites! 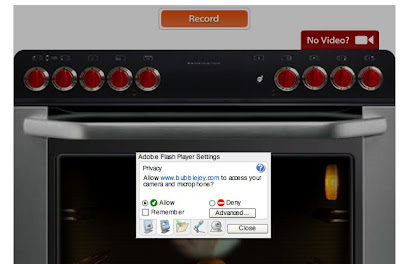 So just go to the Bubble Joy site and start recording. 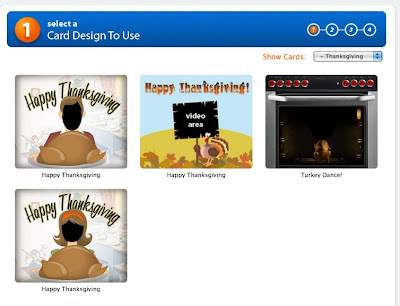 Hope you enjoy this and maybe you could get your students sending thanks giving messages too. 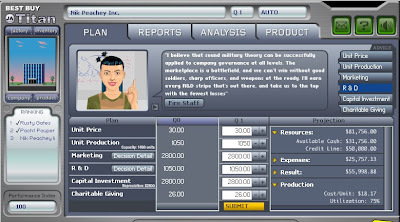 I've just been playing with JA Titan which is a marvelous multimedia business simulation that is great for higher level business English students or other business students. It's a kind of variation on the Lemonade Stand game, but with lots more bells and whistles. You get audio reports from your staff, who you can hire and fire, with tips and advice that you can either take or ignore. You can also listen to news reports and check out report data. Your staff will also help you with some analysis of the data. 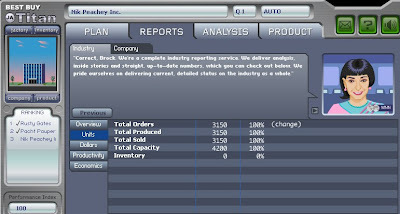 You are competing against other companies (These can be controlled by real people or in practice mode against the computer). When you are ready, you submit you business plan for the quarter and then find out how your company did against the market. You can then go back to your staff and listen to their opinions on what you should change. 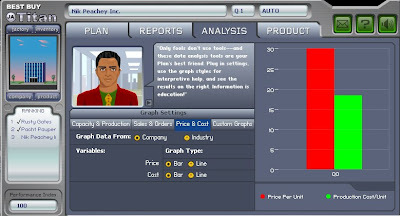 You can adjust prices of your product as well as things like the amount you spend on marketing and R&D. You can play for up to 15 quarters. The level of the language is quite high, but the audio is backed up with text bubbles and for a reasonably good intermediate class of business English students it should be vocabulary rich and challenging, but not beyond them. Students do need to register and will need to submit an email address, but it is free, doesn't require any downloads or software, will run in most browsers and was built for educational purposes, so it should be pretty safe for teenage students too. One of the things that I love about my MAC is Photo Booth and its ability to add different backgrounds and effects when you are using a WebCam. It's a great tool to use with students to create motivating and personalised materials for a whole range of things. 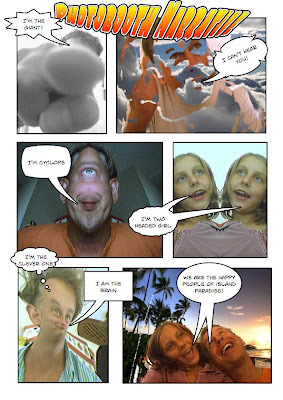 Here's an example of some characters I created to generate a story around (I then imported them into Comic Life). 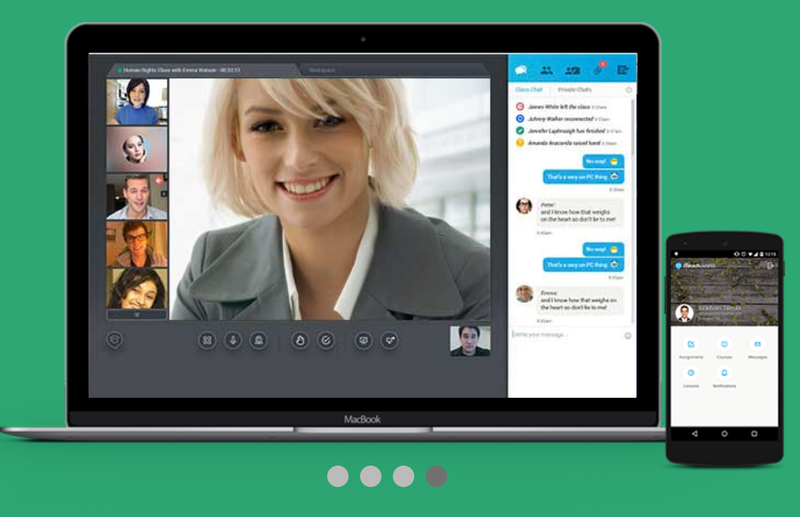 The software also works with quite a good collection of existing services, so you can also use it for video conferencing. Well it looks like my PC has finally booted up, so now maybe I can try it out. I've just been playing TypeRacer and for the first time in my life I have enjoyed trying to type faster and improve my spelling and punctuation (both of which are a constant struggle for me). Typeracer is a really nicely designed activity which gives you a text to copy and measures your word speed as you type it into a field. 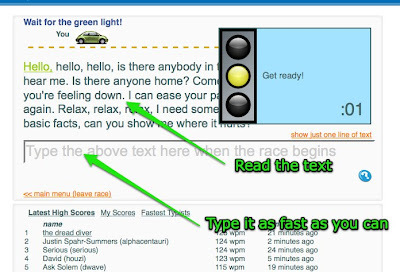 As you type, as small image of a VW Beetle races across the top of the page and measures your WPM typing speed. If you make any mistakes of spelling or punctuation, you have to correct them before you can continue. What's also nice about the site, is that you can play without registering. If you do register though you can record your score and even play against opponents and challenge friends. This is great if you have quite competitive students. 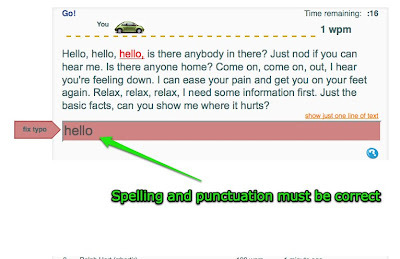 This is a great way to get students improving their typing and also thinking about accurate spelling and punctuation and as I said before it's fun and free! 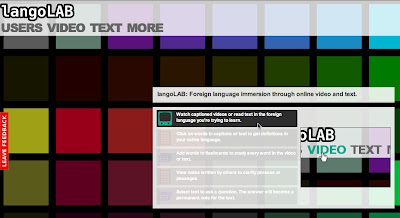 LangoLAB is a great new slant on language learning through social networks. 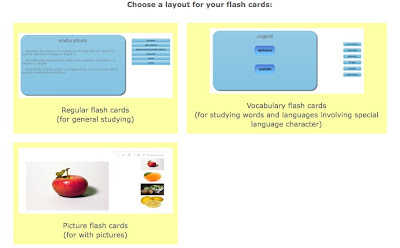 It combines the power of YouTube type video sharing with social networking and adds a few great tools that enable users to create their own vocabulary flashcards, comprehension questions, transcripts and share general comments. What's more, it's not just for English, so it's leveraging the power a much larger and more linguistically and culturally diverse community. 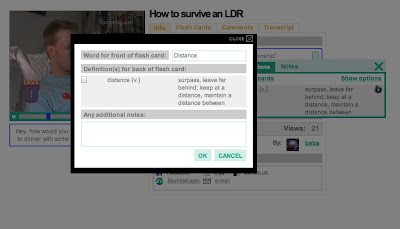 As you watch you can also click on the words from the transcript and get definitions and create your own flashcards with definitions or translations to help you remember and revise the words. 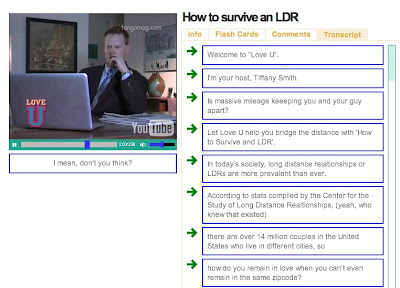 You can also create notes and ask questions about the videos and answer other people's questions. In this way user work together to to negotiate meaning and to help each other understand the content and create learning activities for each other. Personally I think LangoLAB is a great idea and a wonderful way to learn a language. If the site develops an enthusiastic community, then I think it could be a huge success and provide a really useful tool for people of all languages who want to learn and share. On the down side, what I can't see is any information on privacy and what they are doing with my personal information, email address etc, so if those issues bother you, then it might be worth staying part of the passive community until this is sorted out. Either way I still think this is a useful tool. You can add media such as images to the time lines too and once you've created them you can embed them into your blog, wiki or webpage. 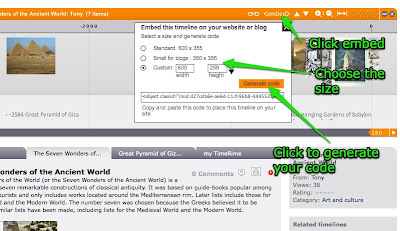 The other nice things about this site are that you can compare time lines side by side, it is kind of community based so you can leave comments of time lines and you can also add extra information and embed media such as images and Youtube video into the pages to give extra information about each of the things on your time line. This would be a great tool for history projects or for building up multimedia narrative for digital story telling. I've just came across this rather interesting new site for language teachers (any language , not just English) that looks like the language teachers version of the popular user generated news site Digg. It's called 'Teaching Better', though the second 't' is the other way around. Any teacher can come and register on the site and write about interesting and relevant websites or web based news for teachers. Visitors to the site then read the stories, follow the links and can vote the story up or down depending on how useful they think it is. I'm glad to see that one of my blogs 'Daily English Activities' has been listed and has 8 votes already (Okay one of them was from me). This looks like a really useful resource for teachers of all languages. I hope that they are able to maintain the quality of the links and references as this is the kind of thing which can easily be taken over by spammers. So far it looks good, has some useful links to quality sources and even has a useful RSS feed to subscribe to.